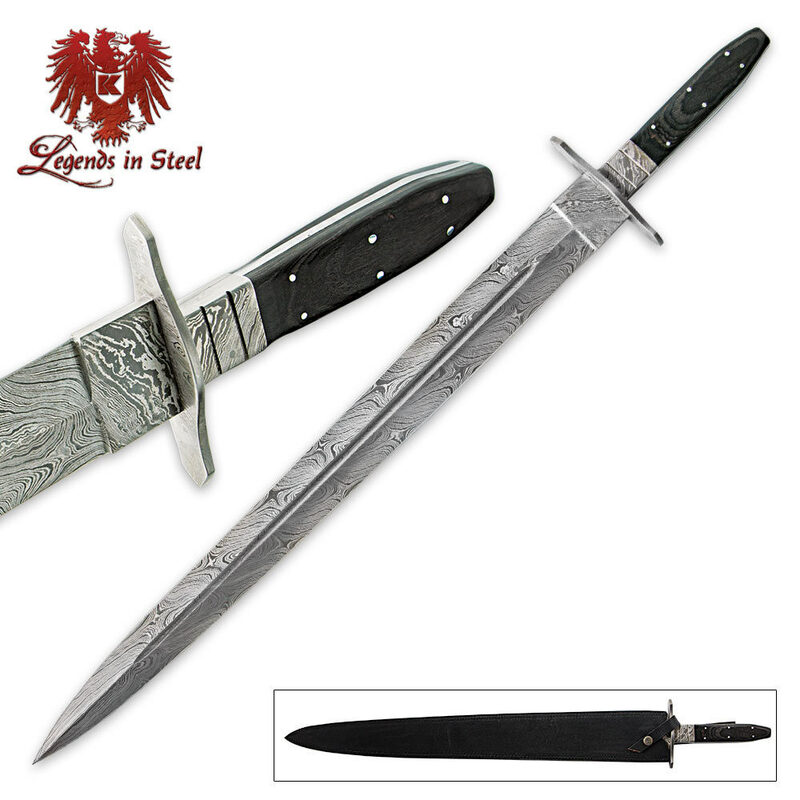 Travel back in time with this Blackwood Damascus Steel Sword. The massive double-edged blade has been heat forged and hand sharpened and offers a heavy blood groove. The Damascus pattern continues onto the hand guard. The smooth Blackwood handle completes this design. Store and carry it in the included leather sheath. This knife is everything advertised. I love it. Yo this is a good sword came sharp and looked just like the one in the video,but the metal part on the grip was not rounded down makes gripping it slightly difficult but that can be fix easily,the real reason why I didn't give this sword a 5 out of 5 is because the sword can't fit in the sheath. I tried to get it in but its a pointless so I just got another sheath from my gladius they both had the same length blade give or take a inch. 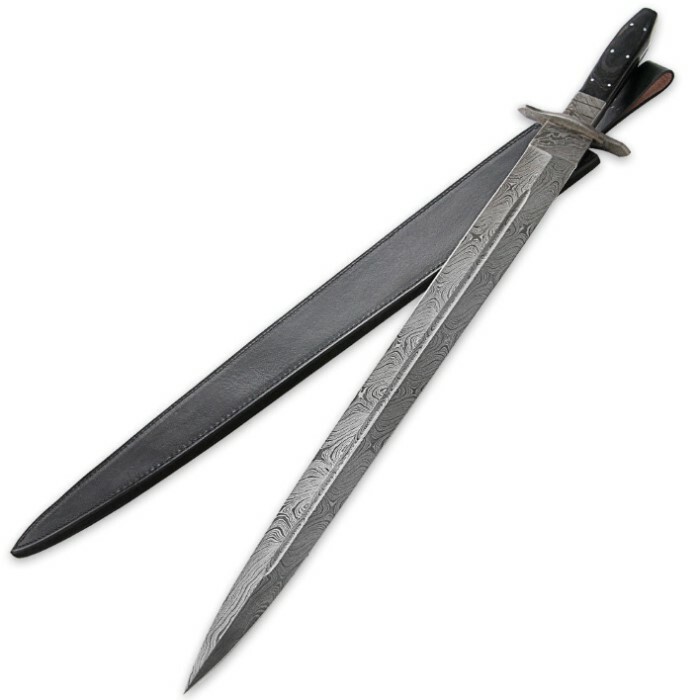 But its a good sword I recommended it, but hopefully the check the sheaths before sending them lol.